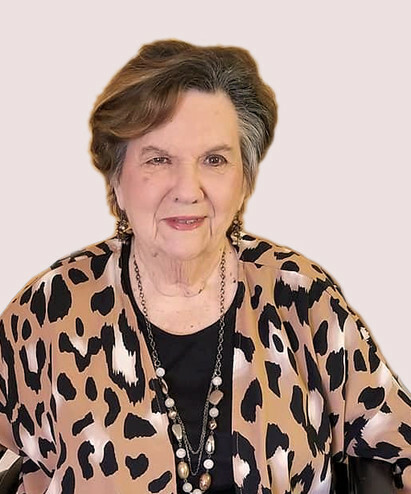 Annie Kate Carr, age 79 of Troy died Saturday, January 26, 2019 in Troy. Annie Kate was born to the late Ed and Mary Bess Lindsey Rolling of Pike County. She was also preceded in death by her husband, Jace Carr and a brother Jimmy Rolling. Funeral services will be held Thursday, January 31, 2019 at 2:00 PM in the chapel of Green Hills Funeral Home with Reverend Bo Weed and Reverend Andrew Knick officiaing. Burial will follow in the Oakwood Cemetery. Green Hills Funeral Home directing. Visitation will be held one hour prior to the service at Green Hills Funeral Home. Her survivors include; her daughters, Kathy and Rick Woodfin of Abbeville, Karen Peters of Troy and Karla and Dennis Park of Troy, her grandchildren, Tasha (Mike) Rhodes, Carrmen (Justin) Jordan, Abby Peters, Landon (Marley) Park, Jace ( Brittany) Colley, Tucker (Ashley) Park, Patrick Woodfin and Kyle Woodfin, her great grandchildren, Preston Rhodes, Clayton Hester, Aubree Harris, Emma-Kate Jordan, Harrison Park and Elizabeth Colley, her siblings, Judy Sikes of Troy and Henrietta (Glen) Bullard of Troy, she is also survived by numerous nieces and nephews, and her best friend Sue Barnette. Serving as pallbearers will be, Ken Owens, Gerry Bullard, David Fiveash, Greg Barnette, Halston Motes and Ed Sikes. In lieu of flowers memorials may be made to the Dementia Society of America, PO Box 600, Doylestown, PA 18901. The staff of Green Hills Funeral Home is honored to serve the Carr family.